This book presents an integrated approach to sustainably fulfilling energy requirements, considering various energy-usage sectors and applicable technologies in those sectors. 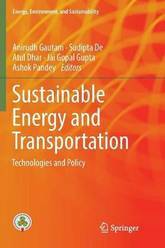 It discusses smart cities, focusing on the design of urban transport systems and sources of energy for mobility. It also shares thoughts on individual consumption for ensuring the sustainability of energy resources and technologies for emission reductions for both mobility and stationary applications. For the latter, it examines case studies related to energy consumption in the manufacturing sector as well as domestic energy requirements. In addition it explores various distribution and policy aspects related to the power sector and sources of energy such as coal and biomass. This book will serve as a valuable resource for researchers, practitioners, and policymakers alike. 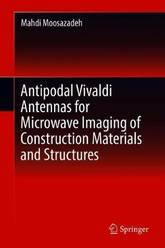 The research described here develops and applies novel, ultra-wideband (UWB) antipodal Vivaldi antennas for high-resolution detection of defects and damages in composite construction materials and structures using their microwave and millimeter wave imaging. The author examines the challenges of applying the UWB microwave technique in that the technique is dependent on the operating frequency used for the specified material under test. In this context, the objectives of this research volume include, but are not limited to, development of a small UWB antenna at frequency range from 5 GHz - 50 GHz for microwave and millimeter wave imaging of wide range of low loss construction materials, design of a small UWB antenna operating for microwave and millimeter wave imaging of low loss and high loss materials for the purpose of detection of surface damages of concrete under low loss materials, and development of a UWB antenna at frequency range from 2 GHz - 27 GHz for microwave imaging of low loss and high loss materials such as concrete structures and layered structures for the purpose of detection of cavities inside concrete. 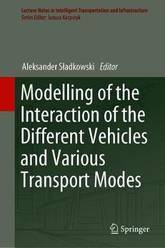 This book discusses various issues of modeling freight and passenger traffic, and explores the common approaches and regional differences. The latter may be a consequence of national legislation or the various approaches that are adopted by scientists around the globe. It focuses on the organization of transcontinental transport and aspects of planning and harmonizing the movement of various transport means, particularly intermodal and multimodal transport. New approaches to the prediction of transportation needs are also considered. Written by international experts, the book is divided into 2 parts: the first part analyzes passenger transport, while the second addresses freight transport. It is intended wide audience, including university professors, graduate and Ph.D. students; transport professionals, and logistics specialist. Bridges the gaps between regulatory, engineering, and science disciplines in order to comprehensively cover pollutant fate and transport in environmental multimedia This book presents and integrates all aspects of fate and transport: chemistry, modeling, various forms of assessment, and the environmental legal framework. It approaches each of these topics initially from a conceptual perspective before explaining the concepts in terms of the math necessary to model the problem so that students of all levels can learn and eventually contribute to the advancement of water quality science. 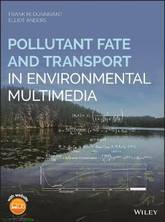 The first third of Pollutant Fate and Transport in Environmental Multimedia is dedicated to the relevant aspects of chemistry behind the fate and transport processes. It provides relatively simple examples and problems to teach these principles. The second third of the book is based on the conceptual derivation and the use of common models to evaluate the importance of model parameters and sensitivity analysis; complex equation derivations are given in appendices. Computer exercises and available simulators teach and enforce the concepts and logic behind fate and transport modeling. The last third of the book is focused on various aspects of assessment (toxicology, risk, benefit-cost, and life cycle) and environmental legislation in the US, Europe, and China. The book closes with a set of laboratory exercises that illustrate chemical and fate and transport concepts covered in the text, with example results for most experiments. Features more introductory material on past environmental disasters and the continued need to study environmental chemistry and engineering Covers chemical toxicology with various forms of assessment, United States, European, and Chinese regulations, and advanced fate and transport modeling and regulatory implications Provides a conceptual and relatively simple mathematical approach to fate and transport modeling, yet complex derivations of most equations are given in appendices Integrates the use of numerous software packages (pC-pH, EnviroLab Simulators, Water, Wastewater, and Global Issues), and Fate(c)2016 Contains numerous easy-to-understand examples and problems along with answers for most end-of-the-chapter problems, and simulators for answers to fate and transport questions Includes numerous companion laboratory experiments with EnviroLab Requiring just a basic knowledge of algebra and first-year college chemistry to start, Pollutant Fate and Transport in Environmental Multimedia is an excellent textbook for upper-level undergraduate and graduate faculty and students studying environmental engineering and science. 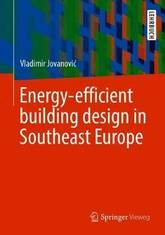 The aim of this textbook is to improve conventional building design in Southeast Europe. This is done with proposing conceptual guidelines for designing energy-efficient buildings for different geographic regions of Serbia. The focus is on climate-appropriate design of building envelopes. To adress sustainability, economical, environmental and social aspects are evaluated. The body is divided into three main chapters: traditional houses, the existing housing stock, and design patterns for future buildings. The conclusions and the methodology can be applied in the rest of Southeast Europe, since Serbia has a unique position in the middle of the region, covering different geographical areas that spread far out of Serbia's borders. Composting at scales large enough to capture and recycle the organic wastes of a given community, whether a school, neighbourhood, or even a small city, is coming of age, propelled by a growing awareness not only of our food waste crisis, but also the need to restore natural fertility in our soils. In-depth yet accessible, Community-Scale Composting Systems is a technical resource for farmers, designers, service providers, organics recycling entrepreneurs, and advocates of all types, with a focus on developing the next generation of organics recycling infrastructure that can enable communities to close the food-soil loop in their local food systems. The main scope of the book is dedicated to compost system options and design, from basic sizing and layout to advanced techniques such as aerated static pile composting. 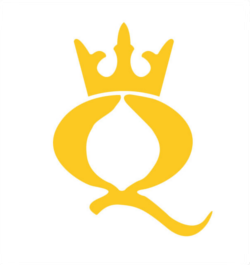 Management techniques and operational considerations are also covered, including testing, feedstock characteristics, compost recipe development, and system-specific best management practices. 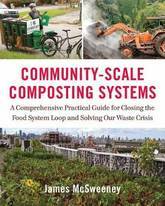 Though focused on recycling systems that include food scraps the fastest growing sector of community-scale composting the book is informed by and relevant to other composting sectors and will be a vital resource for anyone invested in diverting organic materials away from landfilling and incineration. Topics covered include: Community-scale models Estimating organics from individual generators and whole communities Food scrap collection Compost system sizing Aerated static pile (ASP) systems design In-vessel systems selection Integrating animals with composting Compatibility with compost heat recovery, vermicomposting, and other specialized methodologies Composting best management practices Nuisance management Mitigating persistent herbicides End uses, marketing, and sales Whether you re an engineer, community organizer, permaculturalist, public sector waste manager, farmer, or just a dirt lover, Community-Scale Composting Systems is the definitive manual on composting, written at a crucial time when communities are just starting to see what the composting movement will ultimately offer our food systems, local and regional economies, and planet. This book reports on cutting-edge theories and methods for analyzing complex systems, such as transportation and communication networks and discusses multi-disciplinary approaches to dependability problems encountered when dealing with complex systems in practice. 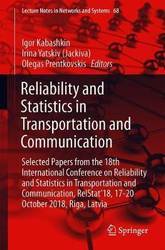 The book presents the most noteworthy methods and results discussed at the International Conference on Reliability and Statistics in Transportation and Communication (RelStat), which took place in Riga, Latvia on October 17 - 20, 2018. It spans a broad spectrum of topics, from mathematical models and design methodologies, to software engineering, data security and financial issues, as well as practical problems in technical systems, such as transportation and telecommunications, and in engineering education. 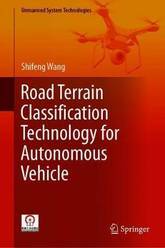 This book provides cutting-edge insights into autonomous vehicles and road terrain classification, and introduces a more rational and practical method for identifying road terrain. It presents the MRF algorithm, which combines the various sensors' classification results to improve the forward LRF for predicting upcoming road terrain types. The comparison between the predicting LRF and its corresponding MRF show that the MRF multiple-sensor fusion method is extremely robust and effective in terms of classifying road terrain. The book also demonstrates numerous applications of road terrain classification for various environments and types of autonomous vehicle, and includes abundant illustrations and models to make the comparison tables and figures more accessible. This timely book deals with a current topic, i.e. 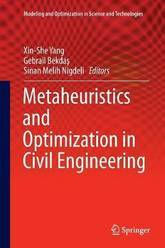 the applications of metaheuristic algorithms, with a primary focus on optimization problems in civil engineering. 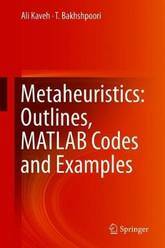 The first chapter offers a concise overview of different kinds of metaheuristic algorithms, explaining their advantages in solving complex engineering problems that cannot be effectively tackled by traditional methods, and citing the most important works for further reading. The remaining chapters report on advanced studies on the applications of certain metaheuristic algorithms to specific engineering problems. Genetic algorithm, bat algorithm, cuckoo search, harmony search and simulated annealing are just some of the methods presented and discussed step by step in real-application contexts, in which they are often used in combination with each other. 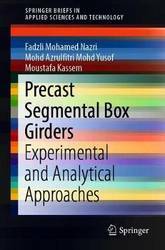 Thanks to its synthetic yet meticulous and practice-oriented approach, the book is a perfect guide for graduate students, researchers and professionals willing to applying metaheuristic algorithms in civil engineering and other related engineering fields, such as mechanical, transport and geotechnical engineering. It is also a valuable aid for both lectures and advanced engineering students. 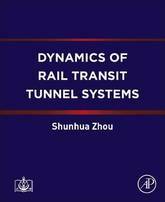 Dynamics of Rail Transit Tunnel Systems develops the dynamic theory of a rail transit tunnel system and provides research methods for the evaluation of long-term settlement of rail transit tunnels in soft soil, the service performance of tunnel structures, and the characterization of environmental vibration induced by trains. In recent years, a large number of rail transit tunnels have been constructed and put into operation, particularly in China. To evaluate the time-dependent degradation of tunnel structures and train-induced environmental vibration, a reliable model must be established to determine the dynamic response of a vehicle-track-tunnel-soil system, hence the introduction of this timely resource. 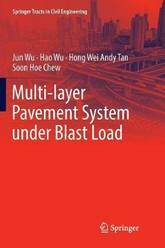 This book proposes the concept of a multi-layer pavement system to fulfill the blast resistance requirement for pavement design. It also presents a damage pattern chart for multi-layer pavement design and rapid repair after blast load. Such a multi-layer system consists of three layers including asphalt concrete (AC) reinforced with Geogrid (GST) at the top, a high-strength concrete (HSC) layer in the middle, and engineered cementitious composites (ECC) at the bottom. A series of large-scale laboratory impact tests were carried out to prove the usefulness of this concept and show its advantages over other conventional pavement system. Furthermore, field blast tests were conducted to show the actual behavior of this multi-layer pavement system subjected to blast load under real-world conditions. This book presents cutting-edge theories, techniques, and methodologies in the multidisciplinary field of high-speed railways, sharing the revealing insights of elite scholars from China, the UK and Japan. 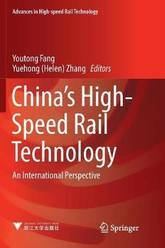 It demonstrates the achievements that have been made regarding high-speed rail technologies in China from all aspects, while also providing a macro-level comparative study of related technologies in different countries. The book offers a valuable resource for researchers, engineers, industrial practitioners, graduate students, and professionals in the fields of Vehicles, Traction Power Supplies, Materials, and Infrastructure. Why do we love and hate airports at the same time? Have you been a victim of tiresome walks, congestion, long lines, invasive pat-downs, eternal delays and so on? Perhaps no other technological system has been challenged by continuously changing paradigms like airports. Think a minute on rail stations; think of how successful are the rail networks of the world in connecting nations, with just minimum security measures. Why aviation and airports are so radically different in this regard? 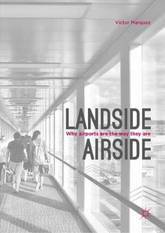 In order to answer those questions the author embarks on a thorough revision of airport history and airport planning that in the end builds up a new theory about how airports are formed from the outset. Within its journey from the early airfield to the newest hubs of today, Dr. Marquez identifies for the first time the Landside-Airside boundary as the single most important feature that shapes an airport. In this sense, his finding challenges the historical linearity that, until today, used to explain a century of airports. From both an analytical and theoretical S&TS stance, Dr. Marquez assures that it is only when airports needed to be fully reinvented (LaGuardia, Dulles and Tampa) when they become transparent and we may be able to understand their lack of technological stability. 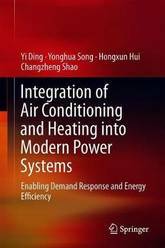 This book focuses on the integration of air conditioning and heating as a form of demand response into modern power system operation and planning. It presents an in-depth study on air conditioner aggregation, and examines various models of air conditioner aggregation and corresponding control methods in detail. Moreover, the book offers a comprehensive and systematic treatment of incorporating flexible heating demand into integrated energy systems, making it particularly well suited for readers who are interested in learning about methods and solutions for demand response in smart grids. It offers a valuable resource for researchers, engineers, and graduate students in the fields of electrical and electronic engineering, control engineering, and computer engineering. 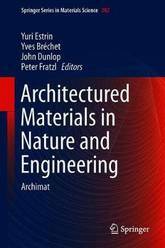 This book provides a compendium of material properties, demonstrates several successful examples of bio-based materials' application in building facades, and offers ideas for new designs and novel solutions. It features a state-of-the-art review, addresses the latest trends in material selection, assembling systems, and innovative functions of facades in detail. Selected case studies on buildings from diverse locations are subsequently presented to demonstrate the successful implementation of various biomaterial solutions, which defines unique architectural styles and building functions. The structures, morphologies and aesthetic impressions related to bio-based building facades are discussed from the perspective of art and innovation; essential factors influencing the performance of materials with respect to functionality and safety are also presented. 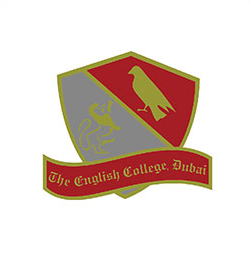 Special emphasis is placed on assessing the performance of a given facade throughout the service life of a building, and after its end. 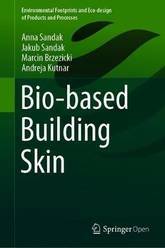 The book not only provides an excellent source of technical and scientific information, but also contributes to public awareness by demonstrating the benefits to be gained from the proper use of bio-based materials in facades. 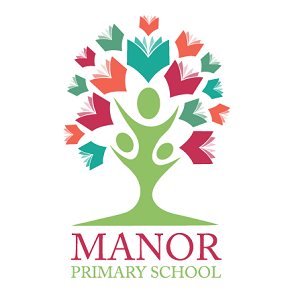 As such, it will appeal to a broad audience including architects, engineers, designers and building contractors. 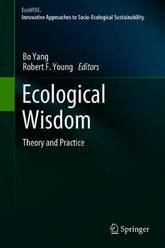 This book offers an introduction to the theory and practice of ecological wisdom (EW). EW is the integration of robust contemporary science with proven cultural and historical practices to identify long-term, sustainable solutions to problems of environmental management and urban design. The book combines theoretical concepts with specific case studies, illustrating the opportunities for interdisciplinary approaches combining historical experience, cultural context, and contemporary science as effective strategies for addressing complex problems confronting metropolitan and rural environmental and resource management in areas such as land use, water management, materials and building engineering, urban planning, and architecture and design. EW transcends the limitations in these fields of the normative approaches of modernity or traditional wisdom by offering a new, synthetic strategy to address socio-ecological issues. 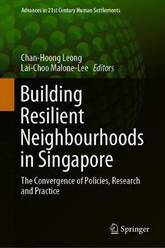 By presenting these ideas both theoretically and through existing case studies, the book provides researchers, practitioners and students with a powerful new perspective in developing long-term, resilient solutions to existing socio-environmental challenges. 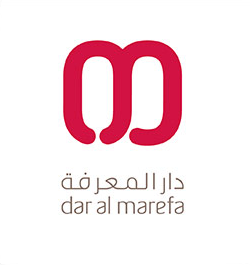 It is intended mainly for those working or interested in the fields of sustainable environmental and resource management, city and regional planning, architecture and design, civil engineering, landscape architecture, and the philosophy of science, particularly those with an ecological or sustainability focus. 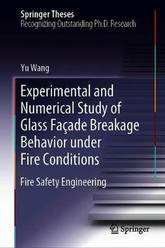 This book presents the comprehensive results of experimental and numerical investigations of glass facade breakage behavior under fire conditions. First of all, full-scale frame and point-supported glass facades, incorporating single, double and coated glazing, were tested under pool fire conductions. The results determined the effects of different glass frames, types of glass, and thermal shocks on breakage behavior. Small-scale tests, using the Material Testing System (MTS) 810, Netzsch Dilatometer and FE-SEM, were also performed at different temperatures to determine the basic mechanical properties of glazing. In addition, a three-dimensional dynamic model was developed to predict stress distribution, crack initiation and propagation, and has since been employed to identify the breakage mechanisms of different types of glass facade. The numerical results showed very good agreement with the experimental results and verified the model's ability to accurately predict breakage. Lastly, a theoretical model based on incident heat flux was developed to predict the breakage time and heat transfer in glazing, which served to reveal the nature of interactions between fire and glass. RILEM TC 248-MMB was established in 2012 with the main aim to improve and distribute knowledge related to moisture measurement in construction materials in various scientific and industrial applications. Properties and performance of building materials and structures are influenced to a large extent by the moisture conditions in the materials. Obvious examples are heat conductivity, shrinkage and creep, transport properties, most types of deterioration, discoloration etc. For research and applications the moisture conditions must be quantified, by measurements in the laboratory or under field conditions. There is much variation in methods being used, even within the same topic, in different countries, both with regard to materials and to applications. No consensus whatsoever does exist. For the construction industry it is important to be able to quantify the moisture conditions in an accurate way in various applications. 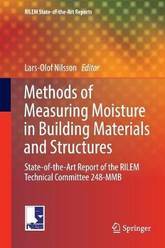 This state-of-the-art report is divided into two parts, Principles and Applications, with altogether 28 chapters on various moisture measuring principles and a number of applications. This book compiles and critically discusses modern engineering system degradation models and their impact on engineering decisions. In particular, the authors focus on modeling the uncertain nature of degradation considering both conceptual discussions and formal mathematical formulations. 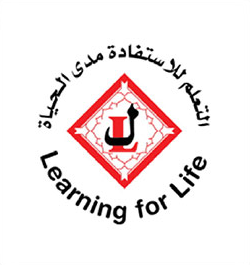 It also describes the basics concepts and the various modeling aspects of life-cycle analysis (LCA). It highlights the role of degradation in LCA and defines optimum design and operation parameters. Given the relationship between operational decisions and the performance of the system's condition over time, maintenance models are also discussed. 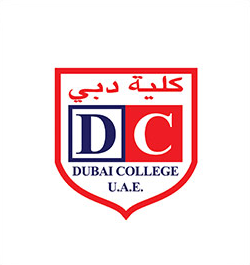 The concepts and models presented have applications in a large variety of engineering fields such as Civil, Environmental, Industrial, Electrical and Mechanical engineering. However, special emphasis is given to problems related to large infrastructure systems. 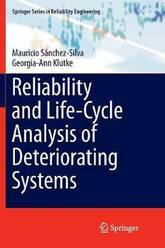 The book is intended to be used both as a reference resource for researchers and practitioners and as an academic text for courses related to risk and reliability, infrastructure performance modeling and life-cycle assessment. The book presents eight well-known and often used algorithms besides nine newly developed algorithms by the first author and his students in a practical implementation framework. Matlab codes and some benchmark structural optimization problems are provided. The aim is to provide an efficient context for experienced researchers or readers not familiar with theory, applications and computational developments of the considered metaheuristics. The information will also be of interest to readers interested in application of metaheuristics for hard optimization, comparing conceptually different metaheuristics and designing new metaheuristics. This book deals with a group of architectured materials. These are hybrid materials in which the constituents (even strongly dissimilar ones) are combined in a given topology and geometry to provide otherwise conflicting properties. The hybridization presented in the book occurs at various levels - from the molecular to the macroscopic (say, sub-centimeter) ones. This monograph represents a collection of programmatic chapters, defining archimats and summarizing the results obtained by using the geometry-inspired materials design. 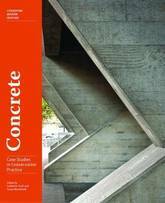 The area of architectured or geometry-inspired materials has reached a certain level of maturity and visibility for a comprehensive presentation in book form. 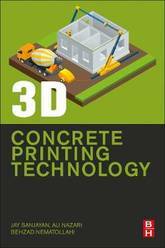 It is written by a group of authors who are active researchers working on various aspects of architectured materials. 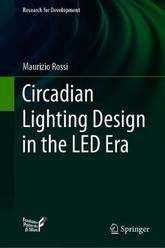 Through its 14 chapters, the book provides definitions and descriptions of the archetypes of architectured materials and addresses the various techniques in which they can be designed, optimized, and manufactured. 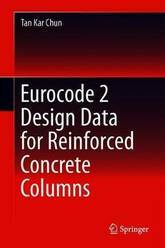 It covers a broad realm of archimats, from the ones occurring in nature to those that have been engineered, and discusses a range of their possible applications. The book provides inspiring and scientifically profound, yet entertaining, reading for the materials science community and beyond. John Dixon (1835-1891) was one of the generation of British contractors who built railways, bridges and other civil engineering works around the world. Today most are generally forgotten, a fate entirely undeserved by the man who erected Cleopatra's Needle on the Thames Embankment and who built the first railway in China. John Dixon was competent and self-confident, with the boundless enthusiasm and energy typical of Victorian contractors. Had his tender for the construction of the Forth Railway Bridge been accepted, and it was the lowest tender received, history would have treated him differently. 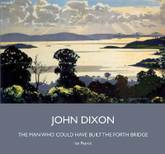 This book describes the life and works of John, his bridges, railways, jetties, seaside piers and other projects. His wider business interests, his professional colleagues and his family life are also covered. It includes an explanation of why his tender for the Forth Bridge was unsuccessful, but only mentions Cleopatra's Needle briefly as this is worthy of another book. Indeed, John's brothers, Sir Raylton Dixon (1838-1901) and Waynman Dixon (1845-1930) were also distinguished engineers and it is hoped to publish similar books on their careers. John, Raylton and Waynman Dixon were members of the same Dixon family, from Raby, Cockfield and Newcastle upon Tyne, as was Jeremiah Dixon of Mason-Dixon Line fame. 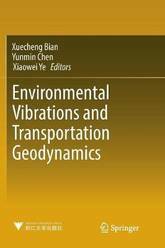 This book includes keynote presentations, invited speeches, and general session papers presented at the 7th International Symposium on Environmental Vibration and Transportation Geodynamics (formerly the International Symposium on Environmental Vibration), held from October 28 to 30, 2016 at Zhejiang University, Hangzhou, China. 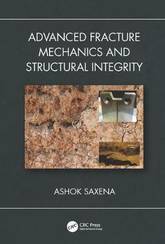 It discusses topics such as the dynamic and cyclic behaviors of soils, dynamic interaction of vehicle and transportation infrastructure; traffic-induced structure and soil vibrations and wave propagation; soil-structure dynamic interaction problems in transportation; environmental vibration analysis and testing; vehicle, machine and human-induced vibrations; monitoring, evaluation and control of traffic induced vibrations; transportation foundation deformation and deterioration induced by vibration; structural safety and serviceability of railways, metros, roadways and bridges; and application of geosynthetics in transportation infrastructure. It is a valuable resource for government managers, scientific researchers, and engineering professionals engaged in the field of geotechnical and transportation engineering.